Richard the chilled out conductor! 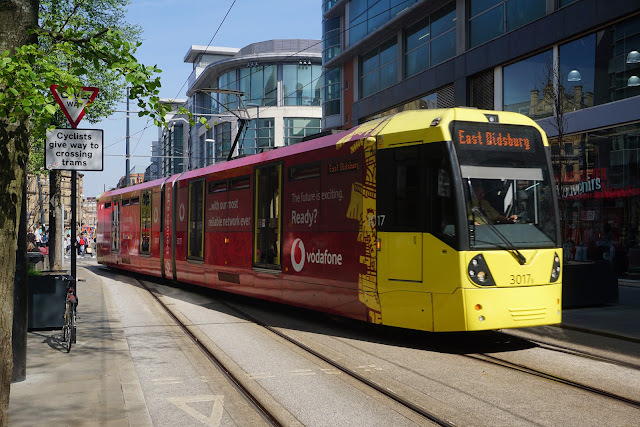 On Saturday 20th April due to engineering work; Metrolink trams on the route to Rochdale were shortworking only as far as Exchange Square . 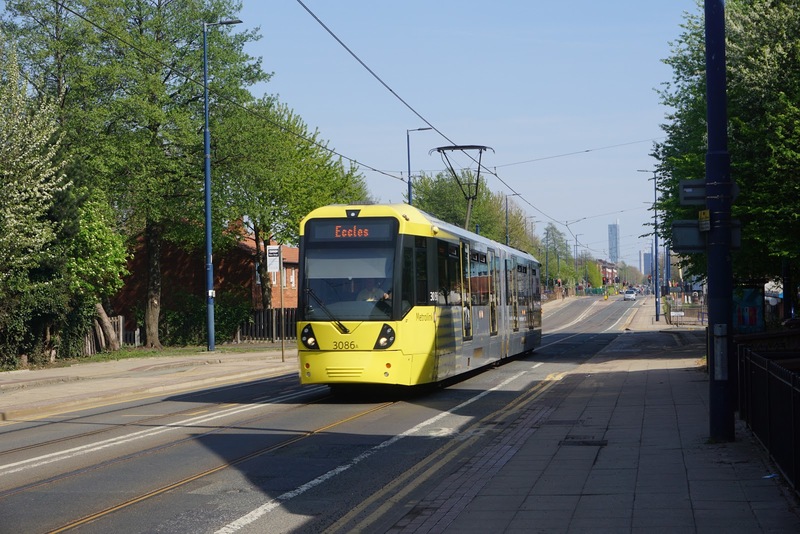 Tram 3017 reverses over the Exchange Square crossover to return to East Didsbury. Metrolink 3086 on Eccles New Road - Saturday April 20th. I am sorry to announce that Bob Hall (Robert Cubin Hall) former employee of the Tramway Museum in Crich and authority on overhead lines, has died. He died after a long illness in Derby Royal Hospital on Tuesday 16 April at 0845. Bob had been in and out of hospital over the past 18 months, during which time his wife Janet died in May 2018. The funeral will be at the Tramway Museum, Crich at 0900, probably on 7 May, but the date has yet to be confirmed. I will post a notice when it is. A really busy first day of the Beamish Steam Fair. The other Sheffield 264 in the depot awaiting its new motors being fitted. A much happier story that its counterpart at Crich. A flying visit to Edinburgh saw a beautiful sunny afternoon. 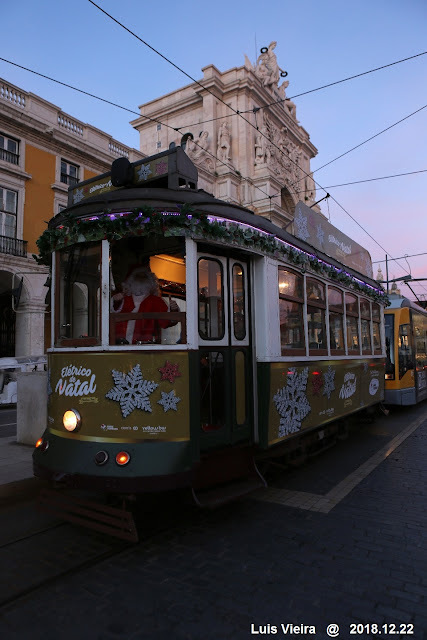 There is a tram briefly in the video! Martin Miller and I along with two other TMS members went to Statfold Barn on Saturday, here is Burton & Ashby 14, in operation. 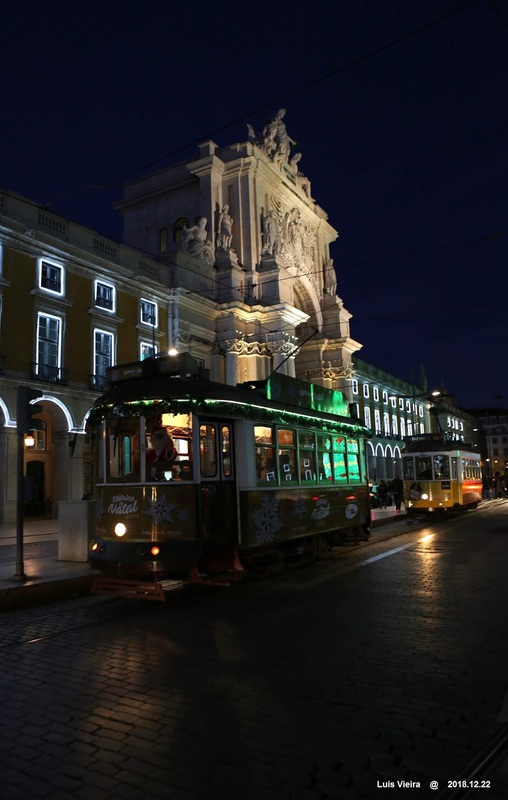 This tram was built by Brush in 1906 for the B.&A. It operated for 21 years until 1927. It survived in the care of a model railway club until the 1970’s when it was selected for restoration and export to Detroit, USA to operate on a tourist line. When that closed in 2003, No.14 spent 11 years in store until put up for auction in 2014. It was successfully bid for by the owner of Statfold Barn and has been restored including the fitting of a battery package. Martin achieved an ambition to visit and ride Edinburgh trams on Sunday 17th March and start the saga with a look at the Airport terminus. I like the use of part of the original mock up tram as a pleasant waiting room. You can hear the lone piper! 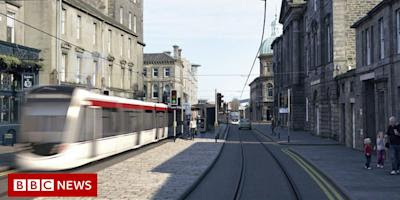 Edinburgh's tram line is to be extended by 2.8 miles after the £207m plan was backed by councillors. 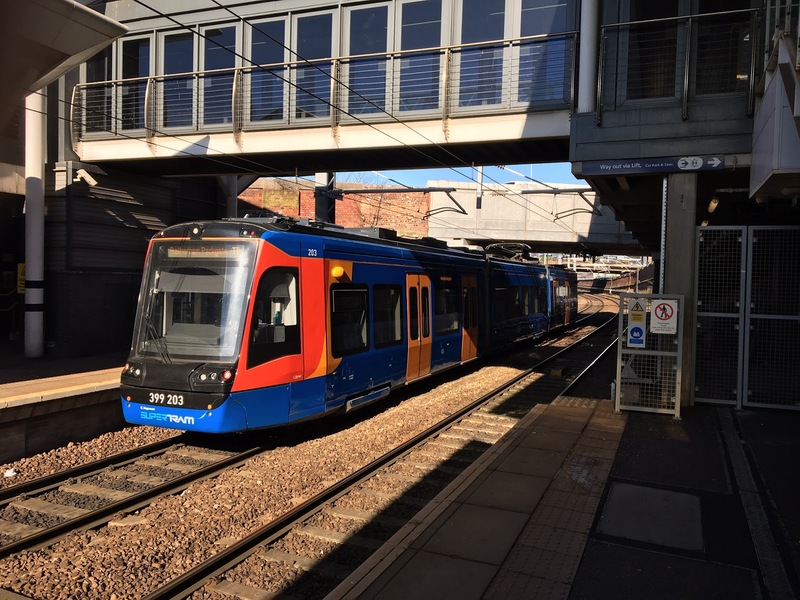 Frank Bagshaw was in Rotherham yesterday and finding there was a 40 delay until the next Tram Train back to Sheffield, he took the next Northern Rail service to Sheffield then caught a tram to cathedral and arrived 10 minutes before the delayed TT was due to leave Rotherham. Photo of 399 203 at Rotherhan station bound for Parkgate. I had a trip to Birmingham today anticipating more progress with the modest extension to Victoria Square but it does seem to be a long job! After the Flexity; along came a couple of Balloons on driver training. New trackwork being installed at the Talbot Road extension onto the promenade. Look what Frank found running on the promenade: Box 40. This tram is leaving Blackpool this year for a stint at Beamish before it returns to Crich for the 60th anniversary celebrations. The Talbot Road extension will terminate by North Station, here the new tracks seem to go into the Wilko store which will be demolished to accommodate the crossover and terminus. Sorry for lack of news recently but as you will see from the title I am moving away from Ripley to Poole. If anyone wishes to live near to Crich, my bungalow in Ripley is for sale and would make the perfect base, Crich only 5 miles from where I live. It is for sale with Smartmove and on the Rightmove website too. Any enquiries to Smartmove on 01773570055. Price negotiable and no chain. Below see pictures and floorplan. (there is also a porch o the side of the kitchen door. Richard - the chilled out conductor! 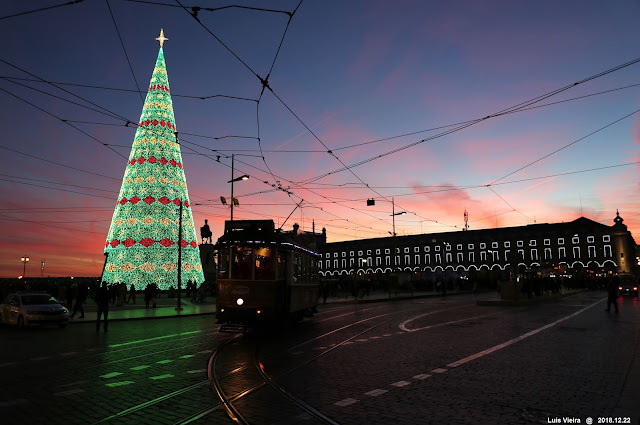 Richard's Tram Blog is a personal blog aimed at publishing pictures of trams and their infrastructure. The Historical Archive is being replaced by a series of 'Pages' on this blog. Travels with a Bus Pass contains photographs of buses. The other blogs are holiday reminiscences. Martin s tumbled across this film recently which he hadn't seen before, Sheffield Trams in 1960 The last days.